Happy to report that our colleague, Colette Rausch (left), has just been named Director of the Rule of Law Center of Innovation at the U.S. Institute of Peace in Washington, D.C. 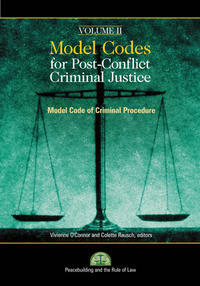 I had the pleasure of working with Colette early in her 8-year career at the Institute -- I was among the hundreds of experts on the Model Codes for Post-Conflict Criminal Justice project for which she was a principal coordinator. Undertaken by the Institute of Peace undertook in tandem with the Irish Centre for Human Rights, National University of Ireland Galway, the project involved meetings across the globe. The aim, as posted, was to draft a Model Criminal Code, Model Code of Criminal Procedure, Model Detention Act, and a Model Police Powers Act. They're intended to be made available for use in postconflict and peacekeeping settings. 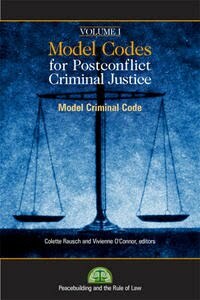 Consequently Colette, along with Vivienne O'Connor, has coedited Model Codes vol. I, published in 2007, and Model Codes vol. II, published in 2008. Additional volumes are contemplated. 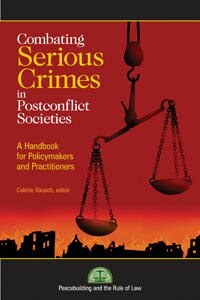 These are just 2 of the many and varied publications that Colette's produced; another is her book Combating Serious Crimes in Post-Conflict Societies (2006). Focusing on criminal justice and police reform, Colette also has worked at the Institute on projects to foster discussion between civil society and security forces in countries like Nepal, Iraq, Haiti, and Afghanistan. 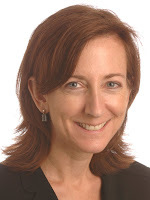 Before joining the Institute she was, inter alia: Director of the Department of Human Rights and Rule of Law at the Kosovo mission of the Organization for Security and Cooperation in Europe; resident legal adviser for the U.S. Department of Justice in Hungary and Bosnia; and an attorney in offices of the state attorney general, federal prosecutor, and federal public defender in Nevada. Colette earned her B.A. degree from the University of Nevada, Reno, and her J.D. degree from Santa Clara University School of Law in California.